Where are my moms with kids still in diapers? I've got a great deal to share with you guys today, to save some money on Luvs diapers! 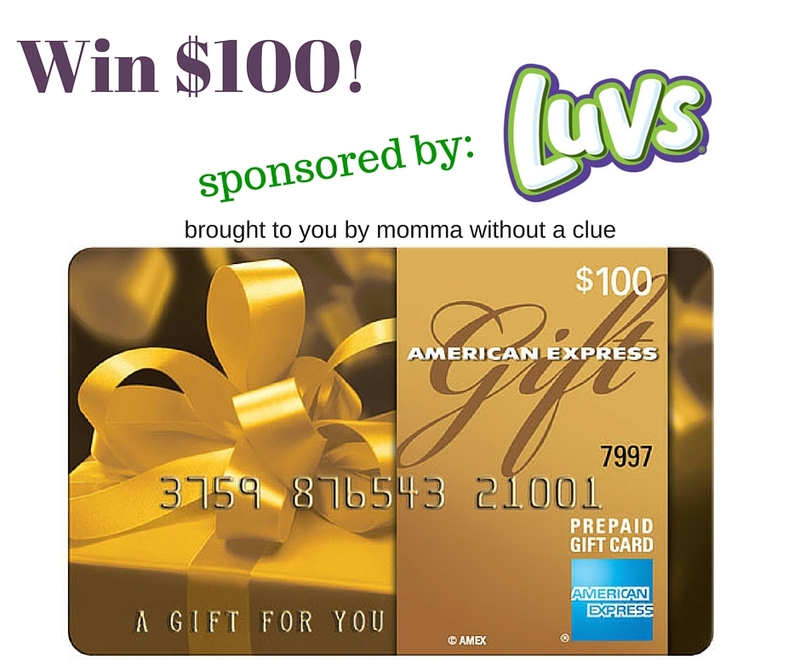 Not only does this post show you two great ways to shave off a few bucks from that ever-growing diaper budget, but there's also a $100 AmEx Gift Card Giveaway at the bottom. So read on, save money, and enter to win! The official diaper of experienced moms, Luvs is offering opportunities to save on diapers this month with a $2 print-at-home coupon offer. 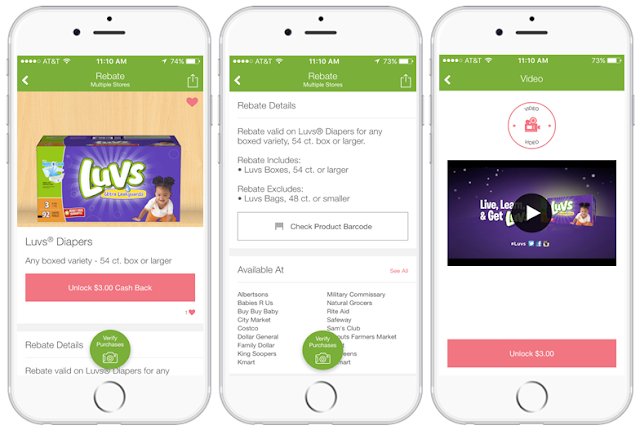 Also, in partnership with Ibotta, Luvs is also offering a limited-time $3 rebate on any boxed variety of Luvs Diapers, 54ct. box or larger. 1. 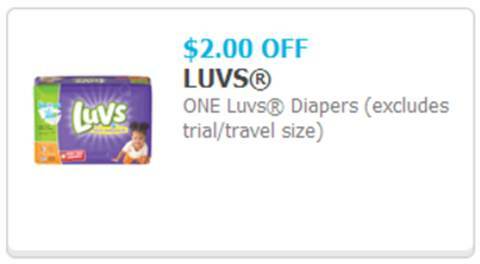 Click the coupon image below to access a Luvs coupon of $2 off any one diaper pack. Print the coupon at home and use it at any mass, discount or grocery stores where Luvs Diapers are sold. 2. Download the free Ibotta app, available on iOS and Android, and search “Luvs” to unlock an exclusive $3 rebate. 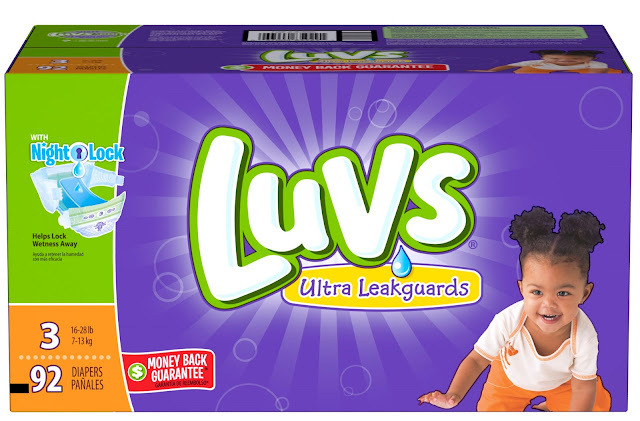 Luvs also offers The Luvs Money Back Guarantee: Luvs feels so strongly that their diapers will keep your baby leak-free that they’ve guaranteed them! If you aren’t satisfied with the leakage protection of Luvs, they’ll refund your money. See their website, www.luvsdiapers.com, for details. Here's how it works: Simply complete as many entries as you want, with the option to tweet daily for extra entries. The giveaway is open from 5/29-6/12 and for US only (sorry everyone else!) The winner will be chosen after entries are verified, and emailed within 24 hours.